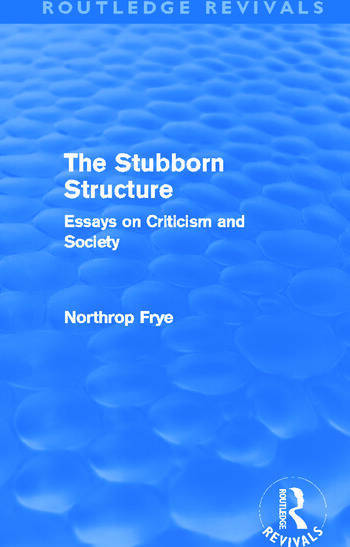 First published in 1970, this collection is made up of a selection of essays composed between 1962 and 1968, written by distinguished humanist and literary critic Northrop Frye. The book is divided into two parts: one deals largely with the contexts of literary criticism; the other offers more specific studies of literary works in roughly historical sequence. One of the essays is Frye’s own elucidation of the development of his critical premises out of his early concern with the poetry of William Blake. Taken together, the essays offer a continuous and coherent argument, making a whole that is entirely equal to the sum of its parts.